Wisconsin has many apple orchards that produce a variety of different apples. The apples come in different flavors, colors and sizes. Apples are grown throughout Wisconsin in USDA hardiness zones 4 and 5, with some of the hardiness apples such as Gala, being grown in USDA Zone 3, which is Northern Wisconsin. The Red Delicious apples are for eating and making salads. The apple has a sweet taste with a yellowish flesh. The apple is medium to large in size with a bright red skin. The Red Delicious is harvested from September 25 to October 10. The Red Delicious apple can be stored for up to four months. 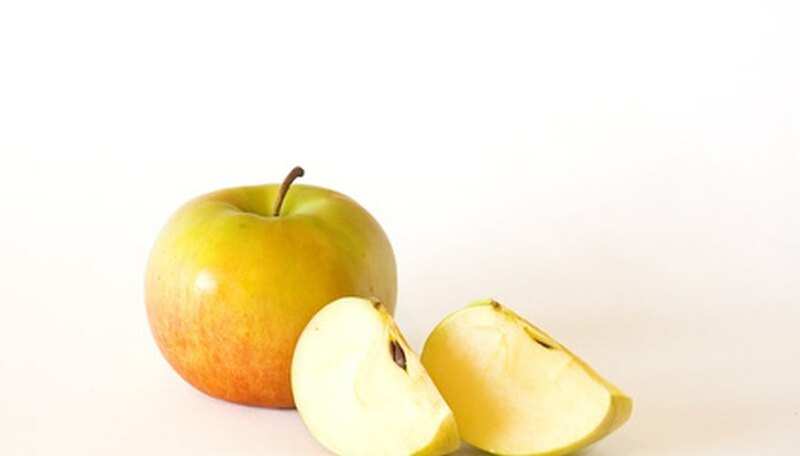 The McIntosh apple is medium to large size and harvested from September 5 to September 20. The apple is used for cooking and eating. The McIntosh is a green apple with a reddish blush color appearance. The apple is juicy and mildly tart with white flesh on the inside. The apple can be stored for three months. The Jonathan is a tart apple with a sweet flavor. The apple is crisp and firm. The Jonathan is a small apple with a crimson red skin that is good for eating and cooking. The apple is harvested between October 7 and October 20. The Jonathan can be stored for up to three months. The Gala apple is medium size with orange skin with reddish stripes. The apple tastes and smells sweet with a yellowish flesh. The Gala is used for cooking and salads. Gala apples are harvested between September 20 and October 10. The apples can be stored for up to three months. Ginger Gold is a spicy yet sweet apple with a yellow skin and cream-colored flesh. The apple is harvested between September 5 and September 20. The Ginger Gold can be stored for up to two months.